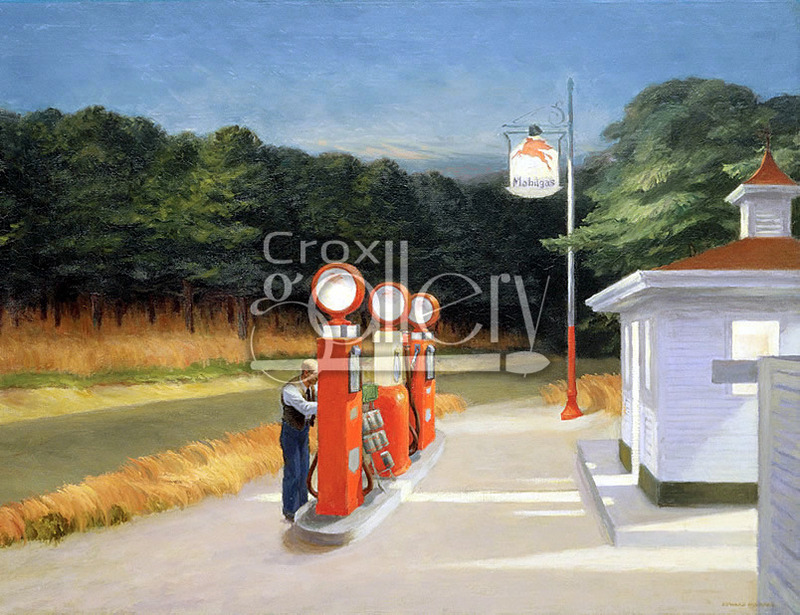 "Gas" by Hopper, American Art, Oil Painting Reproduction. 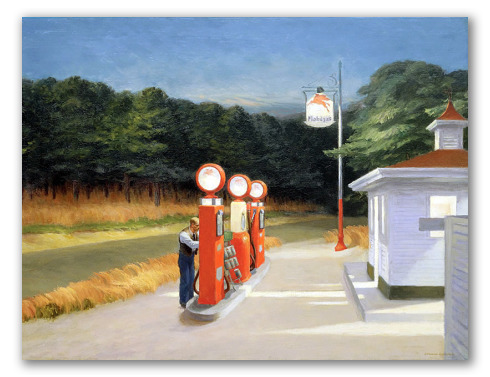 Gas is an amazing work of art by the painter Edward Hopper. The representation shows a classic American roadside gas station in the 50’s. The man's clothing, as well as the lack of cars in the painting, are noteworthy, symbolizing the loneliness and precariousness of those years.